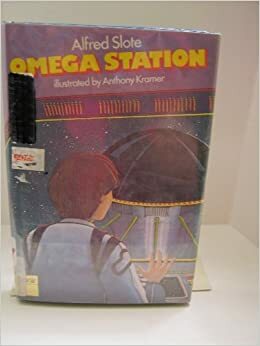 There was a series of books in my school library when I was a kid (1990s, US) about a future where human-like androids were common. The main character was a kid who got his own android double in the first book, and they had low-stakes adventures together. The androids looked exactly like humans, except that they could only walk without bending their knees. The protagonist got good at walking like this, and would sometimes get out of trouble by pretending to be his double. The plots were vaguely Hardy Boys-like, so I think there was at least one about the protagonist getting kidnapped. There was also at least one about visiting an android factory, which might have been the first one. Solar cars had replaced gasoline cars. I think it was common in the setting for people to have robot doppelgangers, but I don't remember why they would and it might have just been the protagonist. I think he got his as his birthday gift but I'm not sure. I think they were published in the 70s or 80s. The books were definitely a bit old by the time I read them, and I remember the cover design being full of flat colors and stylized fonts like a 70s movie poster. One of the covers might have had a solar car on it, or a road. This was a characteristic of the Atkins Robots in the series. The one line I remember from My Robot Buddy verbatim is the protagonist, Jack Jameson, describing himself as walking "More like a robot than any robot ever walked." In the book C.O.L.A.R., Jack is shown to be good enough at pretending to be a robot to fool other robots. In the first book, Jack Jameson is given the titular Robot Buddy by his parents on his 10th birthday. They visit the Atkins Robot Factory to have the robot made, and Jack expresses the desire that the robot be programmed to "be happy". which turns out to be very expensive. When robotnappers eventually attempt to steal the robot (named "Danny", and eventually, "Danny One Jameson"), they grab Jack by mistake. As I recall, though, Jack and Danny don't become virtual doppelgangers until C.O.L.A.R. Not the answer you're looking for? Browse other questions tagged story-identification novel childrens-novel or ask your own question.